If you would like to speak to us, please contact us using the information below, or feel free to visit at any point during our opening hours. Please note that there are two veterinary practices on Barrington road, we are at number 40. 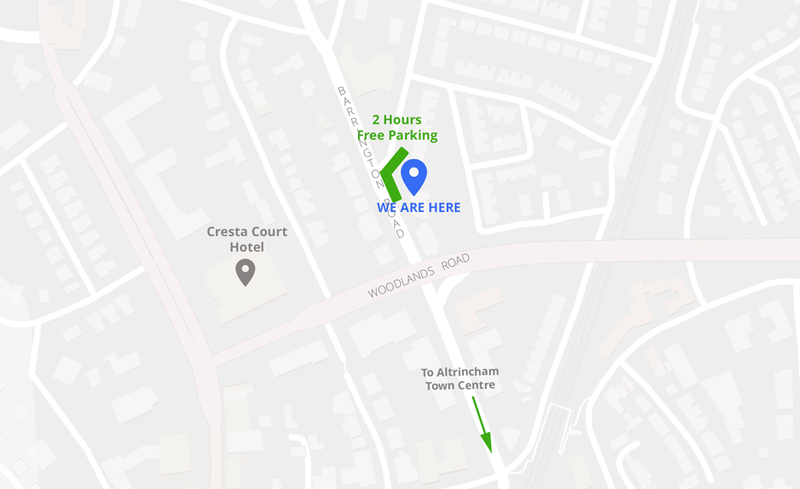 There is 2 hours free parking outside our practice on Barrington Road and various other places to park nearby at a small charge. If you would like more information please give us a ring. Getting to us by public transport is also easy from the Altrincham, Hale and Timperley areas. For further information on local transport networks including bus, train and metrolink(Altrincham Interchange) please contact the practice .